This beautifully illustrated book explores some of the world's most iconic images, teaching children about the impact of photography on their world. Art historian Brad Finger shares some of the world's most renowned pictures, which are also the most exciting for children to view and discuss. 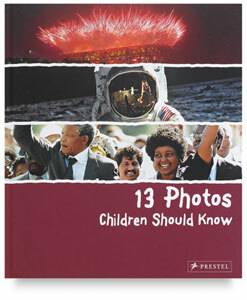 From Neil Armstrong's first steps on the moon to the fall of the Berlin Wall; Lindbergh's historic landing in Paris to Nelson Mandela’s release from prison; portraits of Albert Einstein, Princess Diana, and the Beatles; the opening ceremony of the Beijing Olympics, and the devastating oil spill in the Gulf of Mexico — these and other history-making photographs are presented in double-page spreads that offer stunning reproductions of the images themselves, helpful background information on the events and people they portray, and perspectives on the circumstances that inspired them. 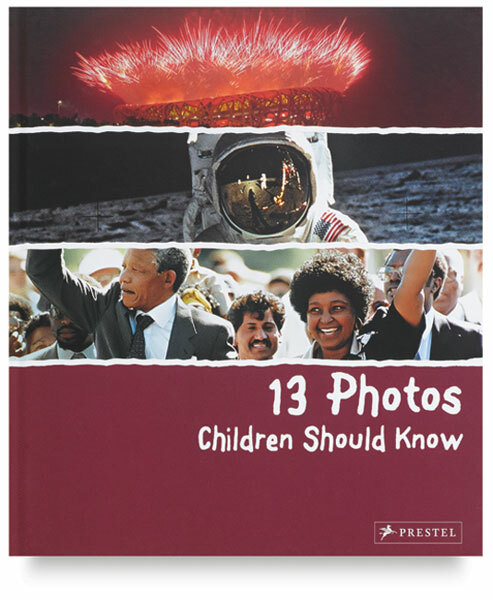 Paging through these photographs, children learn not only about people and events that changed the world, but how photographs preserve and help us understand these important moments. Brad Finger is an art historian based near Chicago, Illinois. He is the author of 13 Modern Artists Children Should Know and 13 American Artists Children Should Know . Hardcover. 48 pages. 9½" × 11" (24 cm × 28 cm).